In addition to mission-critical application design, Arbonne engaged The Studio as an innovation partner to explore new technologies and entirely new user experiences. Because we can go deep quickly and gather insights directly from customers, we became a proving ground for hunches and intuition from the CIO on down. In exploring a new idea, we briefed leadership on the possible costs and returns, built and iterated numerous proofs of concept and where appropriate, handed off source code to internal teams to continue development. The following examples are just some of the innovations we produced as innovators-for-hire. The My Office App (OAPP), compatible with Apple and Android devices, gives sales consultants and team goals the ability to manage their business while in the office or traveling the globe. Consolidating the best features from previously built desktop tools, we first designed a clean and intuitive mobile experience with baseline functions. Once in place, we integrated additional back-end systems including order processing and customer relationship systems. Sales personnel now manage individual monthly goals, team goals, sales leads, and overall communication predominantly on their mobile devices. Arbonne experienced a near 100% field adoption rate among sales associates and a measurable impact to the business' bottom line. We created a simple, streamlined customer experience aimed at driving self-serve and consultant-assisted mobile sales. The application includes dynamic product offerings based on the buyer's location and sophisticated incentive structures condensed for use on hand-held devices through cutting edge game mechanics. As a result Arbonne consultants have achieved more effective in-person sales and stronger customer loyalty across the board. We created an augmented reality consumer makeup tester that allowed shoppers to preview different products using facial-recognition technology. To design this tool, our team integrated a basic augmented reality layer into the existing structure of the Shop Arbonne App and Arbonne website, opening new opportunities for consultants to build stronger sales experiences and for consumers to try new products. Arbonne is building stronger brand loyalty with a rich set of cutting edge tools like these for their customers. We developed Alexa Skills that allowed consultants to receive verbal updates on sales targets, reminders on team member activities, updates on products, and guidance on sales techniques. With application program interfaces developed in conjunction with the Arbonne technology team and third-party providers, a top performing Arbonne sales person can now ask Alexa, "Who are my top prospects today?" or, "Which team members are closest to their sales goal?" and in turn get a list of top connections to make and schedule those meetings for that same day. We developed text and voice applications on the Facebook Developers platform to scan for conversations about makeup, nutrition, and Arbonne itself. When an existing customer engages with 'Arb-bot' they can ask questions about re-orders, product ingredients, and the like. From there, the bot can hand off to a personal sales consultant or directly into the checkout process, dramatically streamlining the buying process. 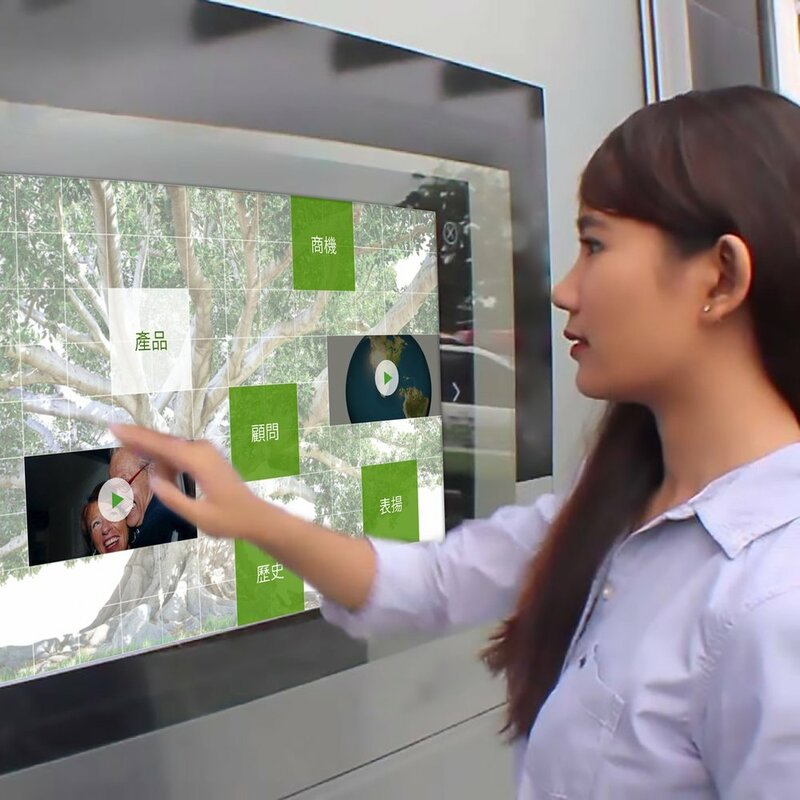 We built a touch interface for dramatic 60+ inch screens located in the Taiwan market where sales teams require an in-store tool to start a relationship with new customers. The immersive experience provides background information and education until engaged with the tap of a finger. Once activated, associates can walk a customer through products, applications, ingredients and more. Originally designed for the Taiwan market and delivered in Mandarin, we subsequently universalized the application for use globally, pulling dynamic catalog information and localized content. The product is now the backbone for launching a new market and requires little to no maintenance based on its connectivity with centralized content at the home office in Irvine, CA.